Beautiful, secluded, lakefront property. 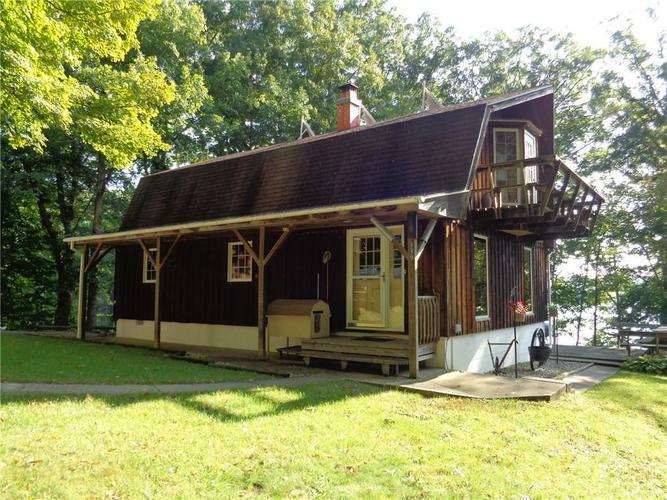 This rustic home sits on a peninsula in Raccoon Lake. Stunning views from every direction. The home is immaculately kept and has an inviting sun room that will easily become a favorite room with a fantastic view of the lake. The home sits on two lakefront lots. The home is on a private road that is maintained by property owners along the private road. The new owner will be responsible for helping to maintain the road. See also MLS# 21599131. Directions:From Hwy 36, turn north on 910 E (this is the first road on the west side of Raccoon Lake Bridge). Follow for 4 tenths of a mile. Private road is on north side of the road.